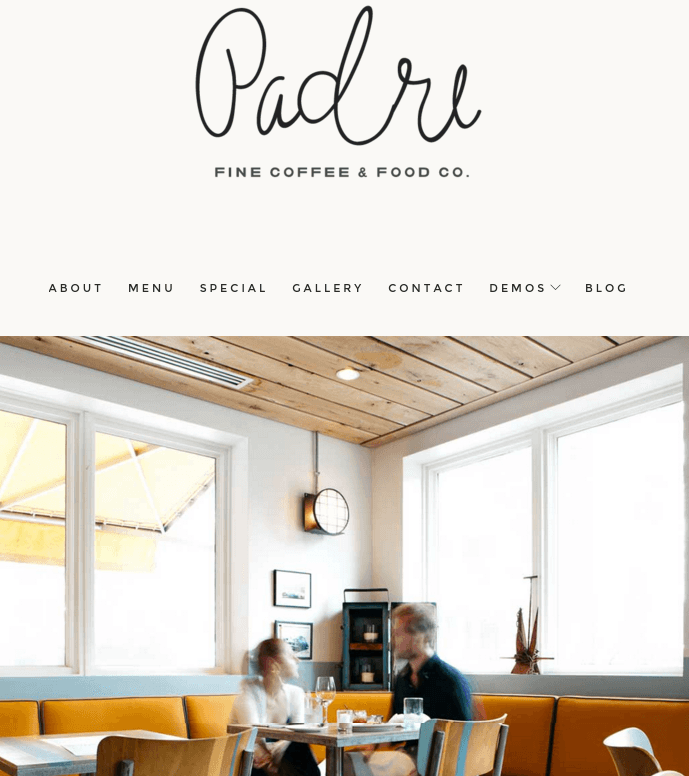 A modern restaurant and cafe WordPress theme. 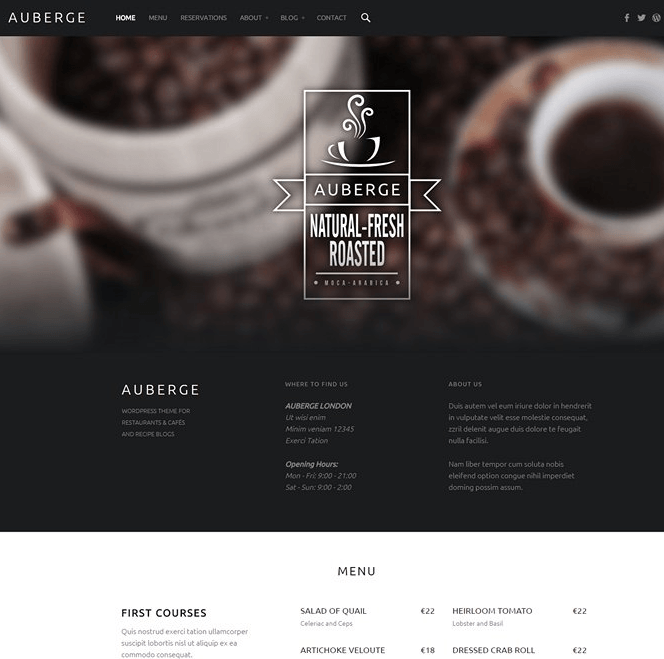 A premium WordPress Theme for Event, Coffee and Restaurant. 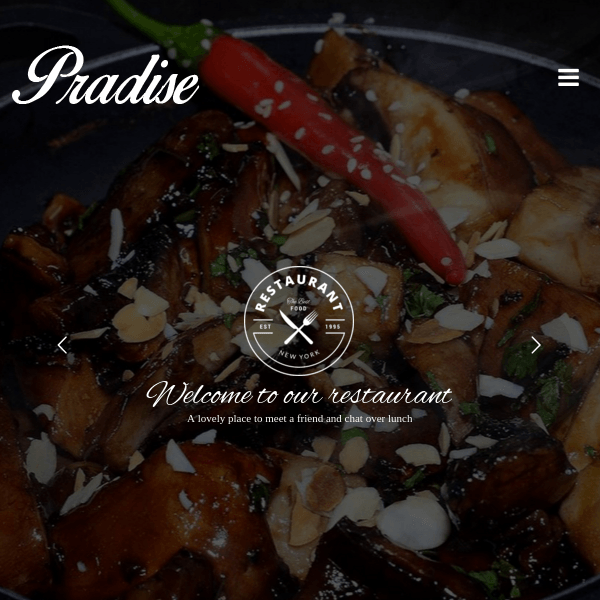 Pradise-WordPress theme for Restaurant and cafe. This theme for restaurant and hotel business which has modern and creative responsive design for food business company and individuals. This theme has a responsive design with creative images which attract your customers. This theme has multiple features like: Menu page, OpenTable and Custom Form reservation with beautiful galleries. In this theme have a premium plugin integrated revolution slider for give better look on the homepage and Visual composer plugin for easy to develop pages in a few click these plugin are freely included in this theme. This theme has 2 homepage layout Multipage and Onepage. This theme is fully support to contact form 7 plugin for easy interaction with visitors and personally contact with customers. In this theme has 4 Blog thumbnail post content with image, gallery and audio and video sources. This themeis ready to translate into whatever language that is this plugin is fully compatible with WPML and provide the language file for easy translation. This theme is design with best SEO practices, Which make your visitors traffic on your site. The is supporting RTL that repositioning of the element and which language are written from right to left langauge. This theme provides with different options to customize the site as well as there are different home variations that are provided by this theme either one page or multi page. This theme provided with a very good experience and allows to explore it easily. Fully Responsive WordPress theme for Cafe and Restaurant.